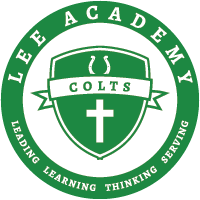 Lee Academy Junior Class will have an Easter Bake Sale today from 4:30 p.m.- 6:00 p.m. in the Commons. We will have a large variety of delicious Casseroles and Desserts. Thank you for your support! We hope to see you all there. On Thursday, April 20 at 7:00, The Griot Youth Program will host an Open Mic/Poetry Slam at the new Meraki Coffee Roasters store located at 282 Sunflower Avenue. $2 for students, $5 for adults. Sign up by April 18 at Meraki. This is a great opportunity for students to come out, participate, and enjoy the Griot Arts Program! Meraki Coffee Roasters is open until 5:30 pm every day except Mondays. Young Life is selling Hams for Easter. You may pick up at the Expo between 1-5 on Thursday. Hams are $40. Get your tickets in the office. Chris Campos needs some boys to help Thursday morning from 6 am -8 am. You will receive 2 service hours . You need to meet at Kroger parking lot at 6:00 am to help load hams. If you are interested in helping with this come sign up in the office. Jeans may be worn Thursday since we are out of school Friday. Seniors, If you have received any scholarship offers, please give the information to Mrs. Antici. District Junior High Track meet Wednesday starting at 9:00. Concession Stand Duty for Wednesday, April 12 – If you are not able to work your shift, please find a replacement for your shift or swap times with another person. Tennis at Home today vs Kirk. Dismiss the A tennis team at 2:30 No B team game. Juniors will be taking Act Thursday, April 19. Your $42.50 is due this Thursday. Tennis at Home Thursday vs Indianola. Junior boys interested in attending Boys’ State at Ole Miss this summer, see Mrs. Antici for an application during student support. There are several college scholarship opportunities for Boys’ State participants. .